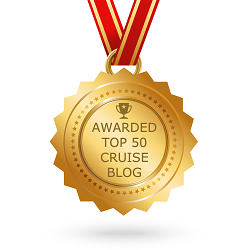 Home › General Cruise Articles › Which Cruise Line Is Right For You? 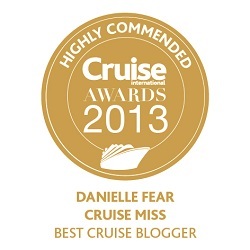 Which cruise line is right for you? That really is a tough question, especially if this is your first time considering a cruise, so let me make this a little easier. 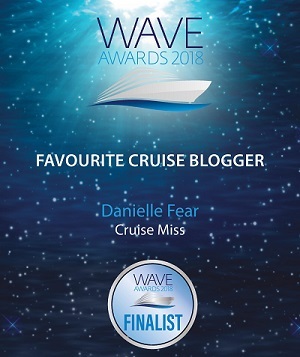 I have broken down into individual sections some of the most popular things people look for when booking a cruise, for example, best cruise lines for food, best cruise lines for families and best cruise lines for spas – this should make your holiday planning a whole lot easier. These are some of the cruise lines that cater perfectly for families. If you want a family holiday where the next generation are entertained in the kids clubs and you can relax, then P&O Cruises or Princess Cruises would be a great choice. If you would rather have a ship that offers out of this world on board facilities – and I mean that quite literally – then your best options would be Royal Caribbean, Norwegian Cruise Line, or Carnival Cruise Line. If ultra-luxury and more included options are top of your list, then look no further. Below are some of the most luxurious cruise lines in the world. The majority of them are all-inclusive, meaning that the fare price is the only price you pay. If a big aspect of your travel experiences involve food then you MUST consider one of the following. They serve some of the finest cuisine at sea and even offer food themed voyages. A food themed cruise is the ideal opportunity for you to combine two of your loves – food and travel – into one unforgettable journey. A food themed cruise will usually offer ship-based experiences including tasting sessions, cooking lessons and expert talks, whilst the shore side aspect can often include excursions ashore with celebrity chefs and visits to local produce farms and food markets. Sit back and relax in some of the best spas afloat. 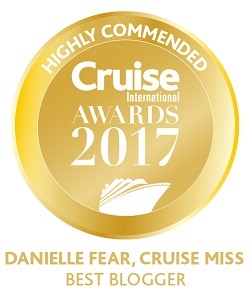 If you want to truly immerse yourself in pampered luxury throughout the duration of your cruise then you have come to the right place. These cruise lines offer some of the finest spas at sea alongside options to further enhance the spa experience including dedicated spa staterooms and suites. You don’t have to be a fine wine connoisseur to enjoy a wine themed cruise. Visit vineyards, learn all there is to learn about wine with the onboard Sommelier, and sample some of the world’s finest reds and whites. These cruise lines offer voyages with some of the best wine options at sea. Go deeper than the average shore excursion and really immerse yourself in each and every destination. If off-the-beaten-track explorations, volunteering opportunities and overnight stays in port are high on your list of must have’s then look no further. Cruise ships offer entertainment far better than you would find at a land based resort – each year there is something brand new and exciting to showcase. From West End style musicals to illusionists, magicians, comedians and live music, it’s all available at sea. Each ships offering varies, but we have noted some of the extra special ones below. Getting your onboard accommodation right is just as important as getting the ship right, after all it is going to be your home for next several days. Just about every accommodation type you can imagine is available at sea, from the comfortable and cosy inside cabin, to a two-floored apartment – these are the cruise lines that offer the widest variety of options and some of the BEST accommodations afloat. Solo cruising has increased massively in recent years and cruise lines are offering more options than ever before for the solo traveller. This includes accommodation choices, solo get together opportunities and shore excursion options. Maybe you want to leave the ocean behind completely and instead spend a tranquil week sailing along some of the world’s best rivers, if this is the case then we recommend the following river cruise lines. This list doesn’t include all available options, but it should at least set you off in the right direction to finding your ideal cruise line and ship. If you’re thinking of embarking on your first cruise, then my New to Cruising section may answer some of your questions.